Seattle's "Performance-Based Parking Pricing" is a simple version of demand-responsive pricing for on-street parking. It has largish price zones and prices get adjusted only once a year. This Seattle simplicity contrasts with San Francisco's SFPark with its frequent data-driven adjustments to prices that vary block-by-block. But is simple good enough? Is Seattle's version too basic? So I was interested to see time-of-day pricing in the latest price-revision announcement by Seattle Department of Transportation (SDOT). The relevant slide from SDOT's 10 June 2014 presentation to the Council Transportation Committee. There will be a special morning price in only for two pricing zones this time around. In October, on-street parking rates in Pioneer Square Core and Pioneer Square Periphery will decrease for the morning pricing period (8-11am) but increase in the afternoon period (11am- 6pm). These changes are based on the low morning occupancies and high afternoon occupancies in these areas. Compare Seattle's parking rate periods (8-11am; 11am-5pm; 5-8pm) with SFPark's ('open'=9am to noon; noon-3pm; 3pm to 'close'=6pm). Curiously, this time-of-day thing was buried in the details of the announcement and not mentioned in the the SDOT Blog post. 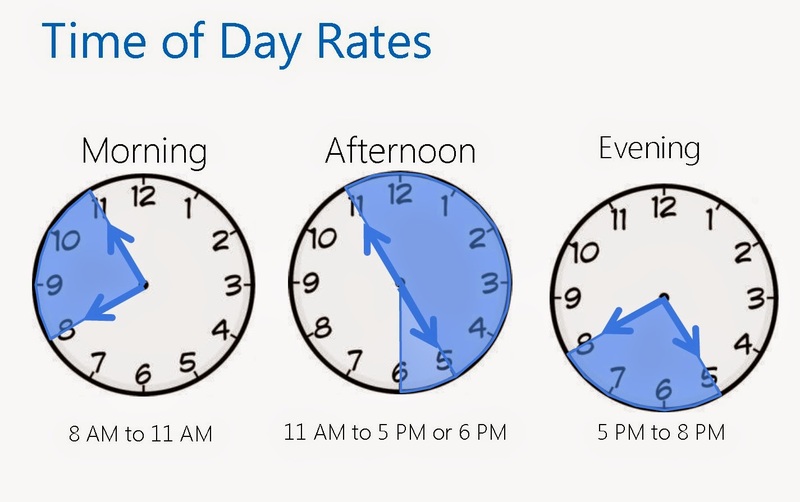 Maybe time-of-day rates are not big news because there is already a precedent actually. There has been a special evening price in Chinatown since early 2013. You can see it on the price map below. By the way, Chinatown's evening pricing is a story in itself - scroll down for more on that*. Since on-street parking conditions vary tremendously by time of the day – morning versus afternoon, versus evening – we will start to adjust rates that way with our new pay stations. Different rate hours will be 8 AM – 11 AM; 11 AM – 5 PM or 6 PM; and 5 PM to 8 PM (if evening paid parking). There will also be one other new time-varying rate - a seasonal one. Ballard Locks gets a May-September price ($2 per hour) and a October-April price ($1 per hour) (pdf) applying 8am to 6pm. Here is the current parking rates map, not yet reflecting the announced changes to be rolled out. Click here for an up-to-date map. Despite the new possibility of time-of-day variations, Seattle is still keeping things pretty simple. Is near enough good enough when it comes to demand-responsive parking pricing? Or should Seattle ramp up the sophistication of its demand-responsive parking pricing? Unfortunately, Seattle is doing performance pricing on the cheap, with a crude, low-tech strategy that lags behind SFPark in four ways. 1. Seattle’s performance pricing is imprecise across space. The city does not have in-ground sensors, so SDOT sends workers to count empty spaces once a year... Such surveys generate data inadequate for tuning parking rates on each block, so SDOT is adjusting them in whole neighborhoods. Compare SDOT’s 29 meter districts with SFPark’s almost 1,000 separately priced block faces. In the City by the Bay, block-to-block differences proved a cure for cruising, but Seattle’s program cannot seize that benefit. 2. The Seattle program is imprecise across time. SDOT replaced every coin-operated meter in the city with pay-and-display pay stations between 2004 and 2010. Unfortunately, because it was an early adopter, it’s stuck with many early generation pay stations that tend to crash when reprogrammed remotely. As a result, someone has to go to every station—all 2,100 of them—and type in new instructions. Understandably, SDOT only adjusts meters once a year. 3. Seattle’s program has been slow to lift time limits. Its biggest relaxation of limits was to switch from two to three hours after 5 pm. (Meters stop running at 8 pm.) It has also been slow to offer matinee parking rates, even though morning occupancy rates are low. Despite the ways Seattle trails San Francisco, the Emerald City’s program is impressive. Its tools are crude, but it has kept spaces more available in more neighborhoods than ever. And it’s done so without hiking meters overall: rates have gone down in more neighborhoods than they’ve gone up. In the years ahead, Seattle could invest in catching up to SFPark. This last comment is encouraging. Yes, Seattle's rough-and-ready demand-responsive pricing has its problems. It fails to reap all the potential benefits. But few cities can do something like SFPark, whereas many could hope to emulate Seattle and to then improve their system step by step. And just as important, it looks like Seattle's approach has been good enough to avoid repeal. The answer to its problems will be refinements, not abandonment. The major political hiccup has been the Chinatown episode (see below). Just like San Francisco's recent parking pricing furores, the hot resistance here is not to demand-responsive pricing as such. The really difficult thing is extending pricing to places and times that were previously free-of-charge. This political pattern is both encouraging and discouraging. It is good news for demand-responsive pricing and its prospects. 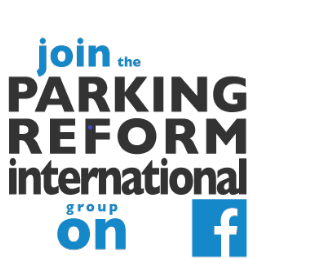 But it's bad news for parking reformers, like me, who think that many cities will indeed need to extend pricing. Follow the news item and blog links below for some hyperbolic debate, if that's your taste! Seattle's Chinatown core has a $1.50 evening rate between 5pm to 8pm period. When priced parking was first extended in the area in 2011, these evening prices were the same as the daytime prices (USD2.50) but had a longer time limit. However, the 2011 evening extension was very controversial with business owners claiming large drops in business. Sightline Institute weighed in, saying that was nonsense. However, SDOT announced a review in February 2012. And in February 2013 then Mayor McGinn announced lowered evening rates in the restaurant core of Chinatown and cancelled the evening rates after 6pm around the periphery of Chinatown. Several councillors questioned whether this decision was data driven, as performance-pricing is meant to be, or was simply caving to the lobbying pressure. However, SDOT declared that, yes, the decision was data driven. In the latest price review, Chinatown and ID core gets an increase in its daytime price to $3.00/hour (8am – 5pm) due to occupancy above the target range. But the evening rate remains at $1.50/hour. Chinatown-ID Core 7pm occupancy was 72% in 2013 and 77% in 2014. Chinatown Periphery 7pm occupancy was 52% in 2013 and 70% in 2014. SDOT uses an occupancy target range of 70 to 85 percent. Note that these occupancy differences (and resulting price differences) vindicate Alan Durning's point that Seattle's pricing zones are too big. Great coverage. It's worth noting that Seattle does actually have some fidelity within neighborhoods. On the periphery of zones, there is often a "best value" area with lower prices and longer time limits. Sure, it's not as high tech (and costly) as SFPark, but what matters is the resulting parking availability. It's be interesting to compare the parking availability data from both cities' models, especially after Seattle gets the new meters and more widely implements time-of-day variability. Thanks Mike for the clarification. The 'best value' messaging about cheaper parking at the periphery of the price zones seems like a really good idea. Seems to have nice clear signage too.